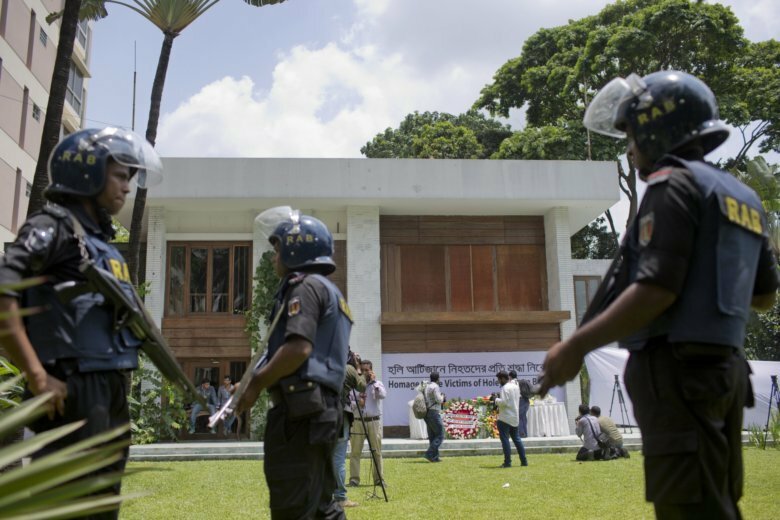 DHAKA, Bangladesh (AP) — A special tribunal has begun the trial of eight suspected Islamic militants in an attack on a restaurant in Bangladesh’s capital in which 22 people were killed, including 17 foreigners. Twenty hostages, including 17 from Japan, Italy and India, were killed when five militants attacked the Holey Artisan Bakery on July 1, 2016. The militants were killed by commandoes inside the cafe during a 12-hour standoff. Two security officials died later in a hospital. The suspects face various charges, including murder, and if convicted could receive capital punishment. A police investigation found 22 people were involved in the attack. Eight are on trial, including six who are behind bars and two others who are fugitives. Five suspects were killed during the attack, and the remainder died in a series of crackdowns across Bangladesh.